3-D Monster: First Look: a Sneak Peek at The New Batmobile From Batman vs Superman! First Look: a Sneak Peek at The New Batmobile From Batman vs Superman! 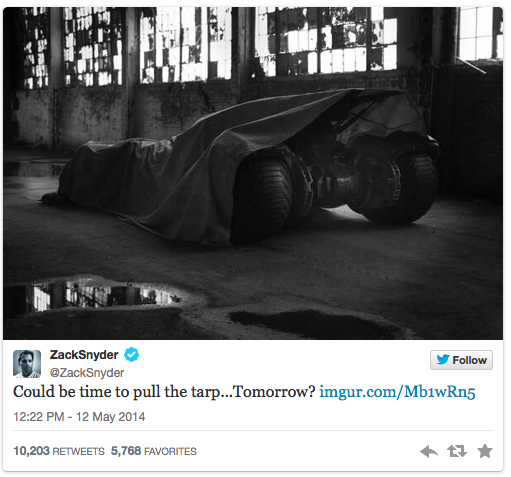 Zack Snyder tweeted this tease with a full reveal possible slated for tomorrow. Can't tell much from the rear end, but it looks a lot longer than the Tumbler. I hope this one looks a little more "batty".